U.S.-China Educational Exchange (USCEE) is a non-profit, non-governmental and non-political organization. It was created for the sole purpose of facilitating educational and cultural exchange between the United States and China. For our purpose, China as referred to here includes Taiwan and Hong Kong. We are called U.S.-China Educational Exchange because we are based in the U.S., but all our programs are open to qualified candidates irrespective of their nationalities. The programs that USCEE conducts are of two types: outbound programs and inbound programs. Outbound programs are those that involve personnel transfer into China, whereas inbound programs are those that involve personnel transfer into the U.S. The following is a brief description of these two types of programs. For details, please visit the relevant pages. This is our largest program. We assist those in the United States and elsewhere interested in teaching English and other subjects in China/Taiwan to locate positions there. We can place people at year-long positions, semester-long positions, and summer positions. Once our candidates are accepted, we provide necessary orientation (aspects of teaching in China, reading list, travel arrangement, visa application, connection with people who have taught or are still teaching in China, logistic preparation and so on). 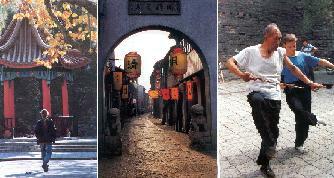 We organize tours to China throughout the year. The director of our organization personally leads a tour to China every summer. For those teachers in the United States and elsewhere who are interested in teaching in China, but wish to receive their salary at home, we source and arrange for teachers in China to fill their positions in the United States while receiving funding from their home institutions. Many universities and institutes in China offer language and culture (martial arts, painting, calligraphy and traditional medicine) courses for foreign students, both short-term and long-term. We handle applications for a number of universities and institutes in China and we are running our own course in China in the summer. These training courses are conducted twice a year in China. The course lasts for about a week, usually, but not always, in Beijing and Shanghai. We assist students from China and other parts of Asia to come to pursue degree studies in the U.S.
We place applicants from China and other parts of Asia at American companies and organizations as interns or trainees. We offer qualified high school students from overseas the opportunity to live with a family and attend a high school in the U.S. for one school year. This unique opportunity allows students to learn first-hand about the diverse culture and lifestyles; customs; and education system of the United States.